‘Tis the season for pumpkin everything – pies, lattes, breads, and pies. 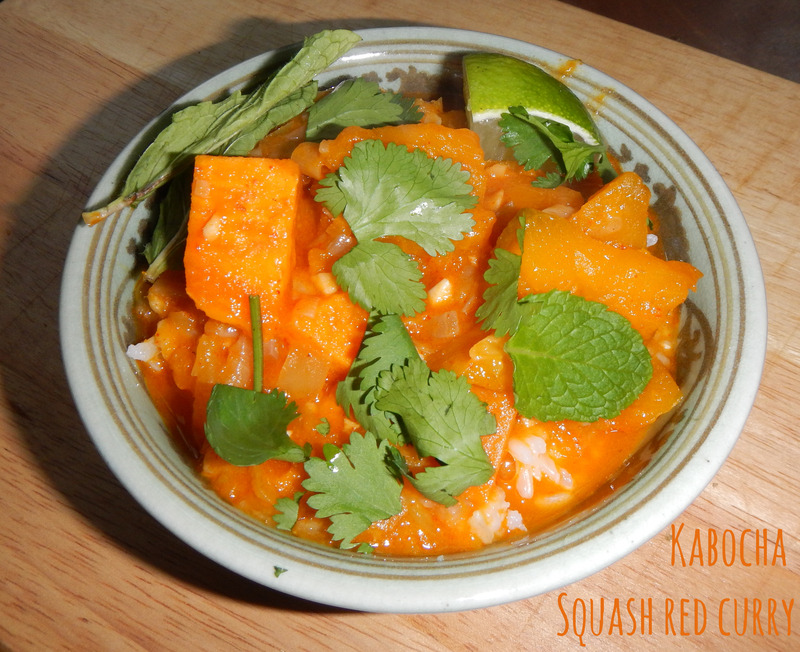 Here’s a recipe with a savory twist on everyone’s favorite gourd, a kabocha squash and sweet potato red curry. I was introduced to this recipe via Blue Apron, a meal delivery service that sends you all the fresh ingredients you need to make a scrumptious meal for two, a few weeks ago and it was so nice I made it twice! 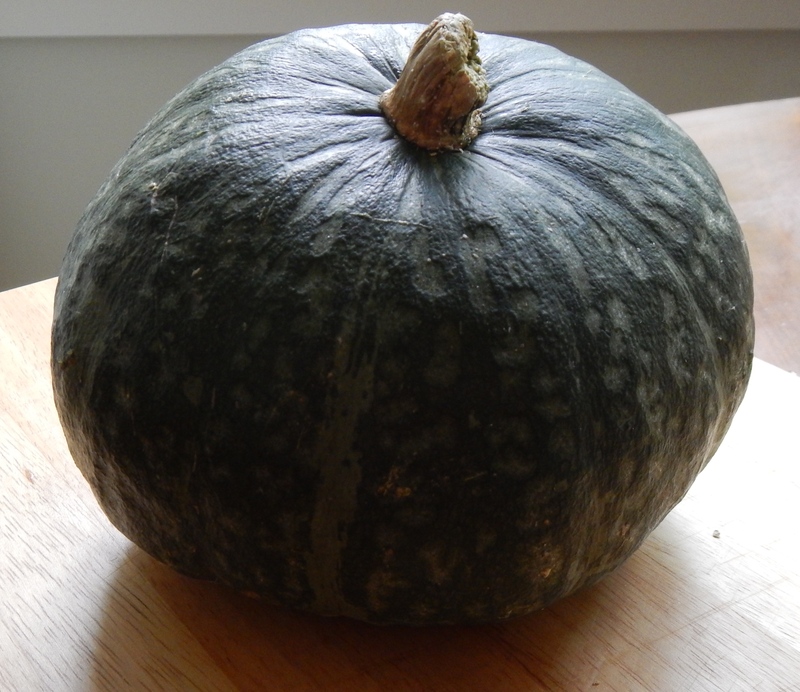 Will you look at that pumpkin/kabocha squash! The beauty of how I made this recipe this time is that it’s pretty set it and forget it! I made it in a crock pot. 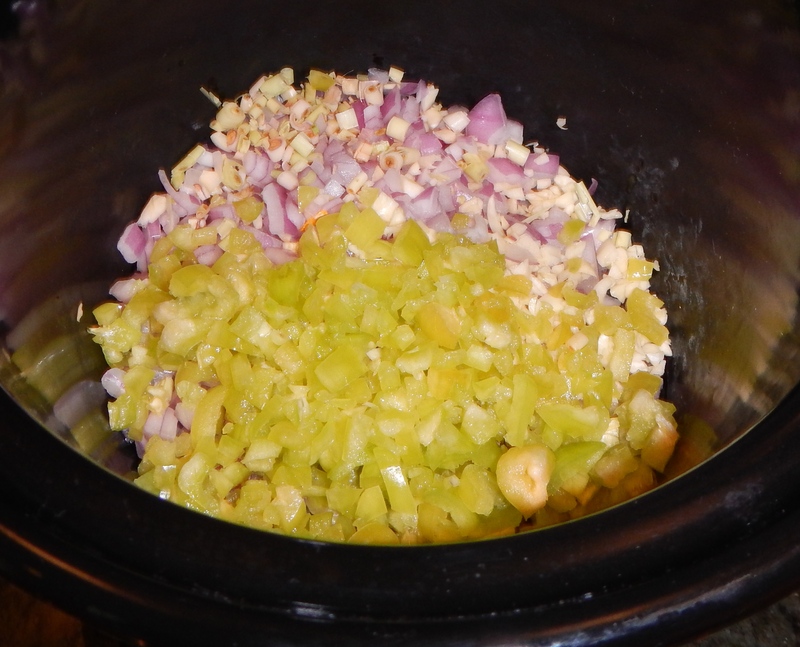 Start by simmering your garlic, lemongrass, pepper, and onion in your crock pot on high heat until their soft and growingly translucent. 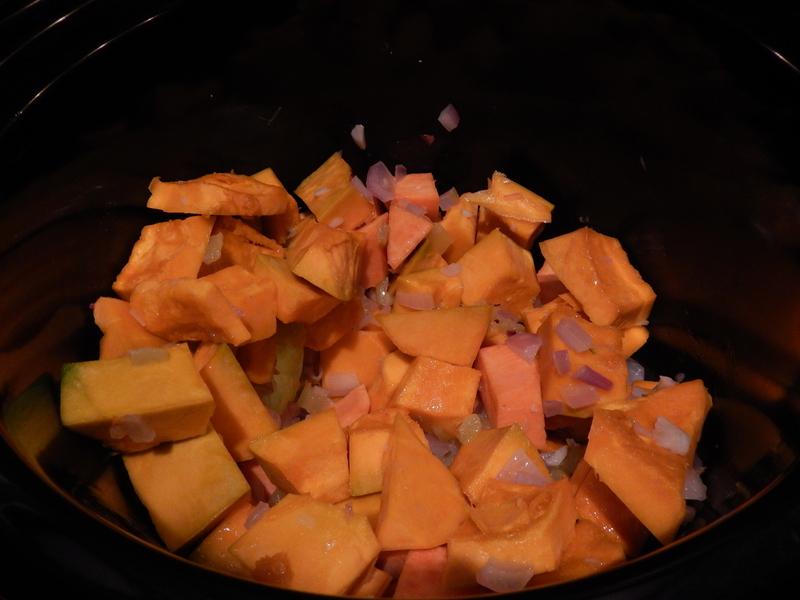 Add your squash and sweet potatoes and cook until their soft. 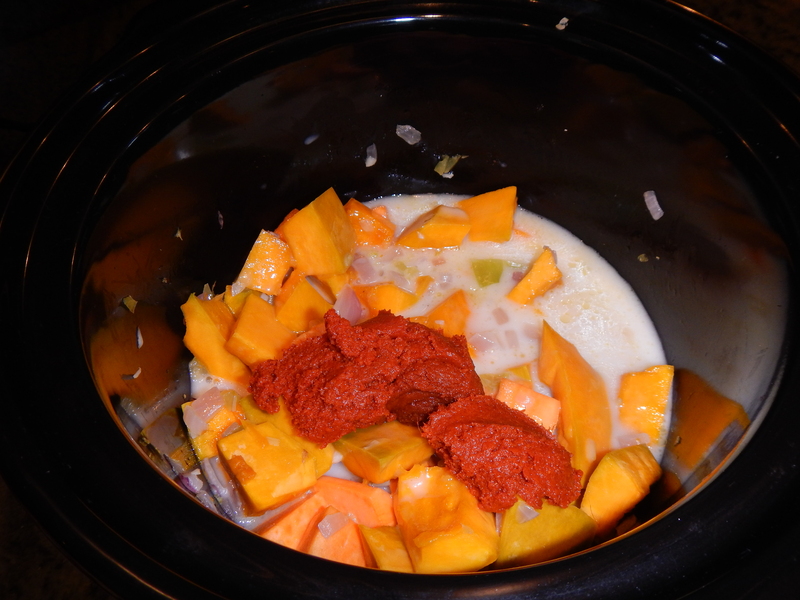 Then add your coconut milk and curry paste and let your curry simmer until fragrant and ready to serve. I let mine hang in the crock pot for a few hours before serving over scoops of brown rice and garnished with cilantro, mint, and limes! Add a little spice to your life this decorative gourd season! Confession. 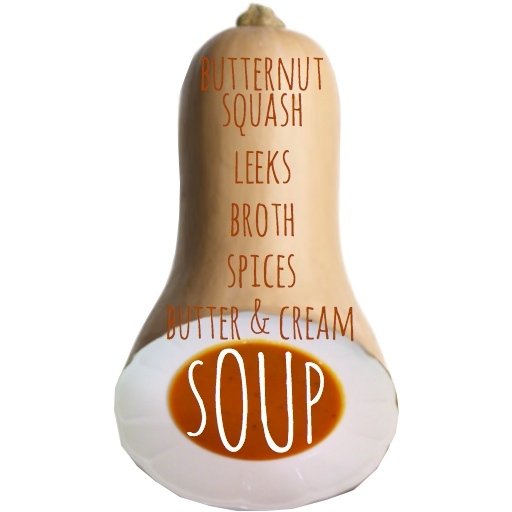 Until this soup, I’d never cut, cooked, or seen the inside of a butternut squash before. It was a lot more like carving a pumpkin than cutting a vegetable. Pro tip #1: don’t try to peel it with a vegetable peeler. Pro tip #2: when skinning try to cut rectangular pieces. Pro tip #3: I recommend scooping the seeds with a spoon. Another confession. I used Rachel Ray’s veggie stock. It was very good. 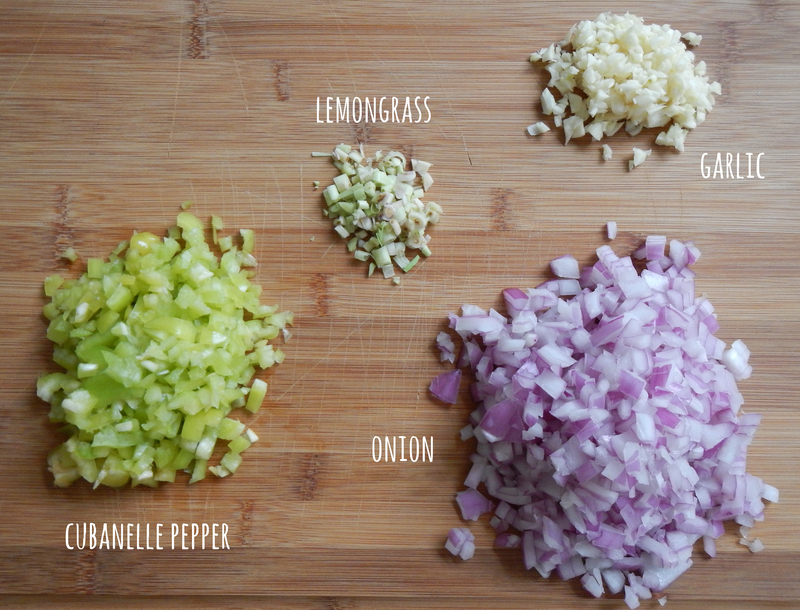 It was seasoned way better than your typical veggie stock. Chop, seed, and skin your squash in 2-inch cubes. Put it all in a bowl, cover with plastic wrap, and zap it for 14 minutes (14 minutes! yes, you read correctly). Once that’s thoroughly cooked, melt butter in a large pot, add the leeks & squash, cook for 10+ minutes. Then add 2 cups of your broth, to loosen your veggie mix up. Then add the second 2 cups, 1 cup of water & your spices (a couple dashes of thyme, 1 bay leaf, a pinch of thyme). 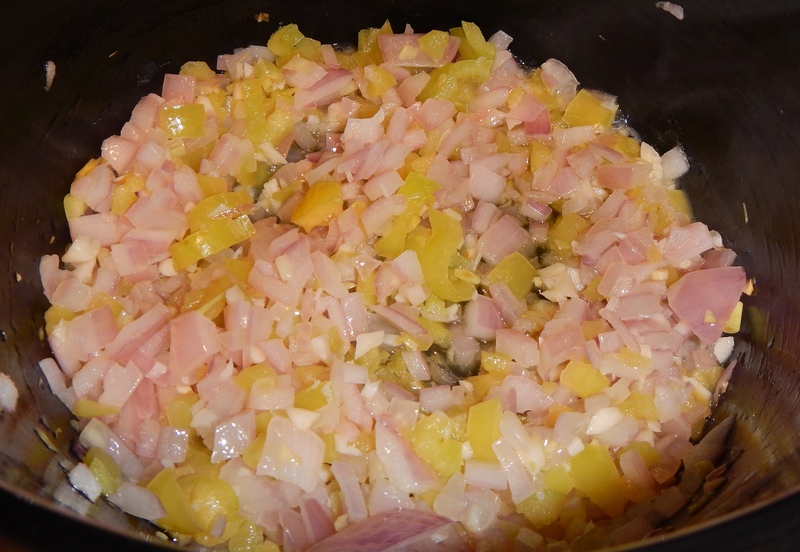 Take the heat up a few notches until you get to a simmer, once you’re simmering reduce your heat and cook until your leeks look tender. Add the mix to your blender/food processor (be careful not to excede your “no liquid above this line” line). Pulse until smooth. Bring it back to the pot and back to a simmer. Add a 1/4 cup of cream for good measure. And season with S&P ’til it tickles your tastebuds.